Doctors have long recommended that patients cut down on sugar to lose weight and become healthier. But a recent review conducted by osteopathic physicians shows that avoiding one type of sugar can quickly lead to better health outcomes. Another academic study is blaming high-fructose corn syrup for some of Americans' health issues. 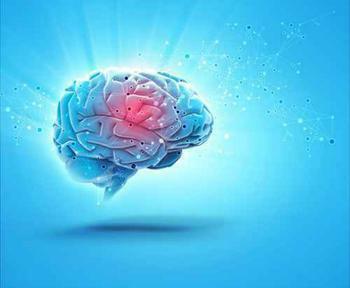 The latest comes from UCLA, where researchers contend that fructose, which occurs both naturally in fruits and vegetables but is also an additive, damages brain cells. Their research also links the sweetener to diabetes, heart disease, Alzheimer's, and ADH. The scientists reached their conclusions after conducting a series of experiments involving laboratory animals. They published their results in The Lancet, a medical journal. In recent months attention has focused on Americans' consumption of sweetened foods and beverages as a contributor to rising obesity rates. In 2013, California considered mandating warning labels on products with high added sugar content. This latest research came up with an antidote, of sorts. It found that when people consumed an omega-3 fatty acid called docosahexaenoic acid, or DHA, it seemed to reverse the damage triggered by fructose. “DHA changes not just one or two genes; it seems to push the entire gene pattern back to normal, which is remarkable,” said Xia Yang, a senior author of the study and a UCLA assistant professor of integrative biology and physiology. Brain cells produce some DHA on their own, but the amount is not large enough to help fight disease. Reinforcing natural DHA with foods high in the omega-3 provides adequate reinforcement. Fernando Gomez-Pinilla, a UCLA professor of neurosurgery and of integrative biology and physiology, says the finding simply reinforces the reason people need to eat the right food. Your body, he says, can't produce all the nutrients it needs – the rest has to come through diet. Sources of DHA include walnuts, fruits, vegetables, wild salmon, and other fish. High-fructose corn syrup is made from corn starch and is used in a wide variety of processed foods and beverages. The UCLA researchers cite a U.S. Department of Agriculture study which estimates that Americans consumed about 27 pounds of the sweetener in 2014. While fruit also contains fructose, the researchers say it is less harmful, with the fiber in the fruit slowing the body's absorption of the sweetener. Fruit also contains nutrients that are beneficial to the brain. “Food is like a pharmaceutical compound that affects the brain,” said Gomez-Pinilla. To ensure those effects are positive, he suggests avoiding sugary soft drinks, saving desserts for special occasions, and trying to reduce the overall amount of sugar and saturated fate in your diet. Researchers have found new evidence that soda pop sweetened with high-fructose corn syrup may contribute to the development of diabetes, particularly in children. In a laboratory study of commonly consumed carbonated beverages, the scientists found that drinks containing the syrup had high levels of reactive compounds that have been shown by others to have the potential to trigger cell and tissue damage that could cause the disease, which is at epidemic levels. The syrup, commonly called HFCS, is a sweetener found in many foods and beverages, including non-diet soda pop, baked goods, and condiments. It is has become the sweetener of choice for many food manufacturers because it is considered more economical, sweeter and easier to blend into beverages than table sugar. Some researchers have suggested that high-fructose corn syrup may contribute to an increased risk of diabetes as well as obesity, a claim the food industry disputes. Until now, little laboratory evidence has been available on the topic. In the current study, Chi-Tang Ho, Ph.D., conducted chemical tests among 11 different carbonated soft drinks containing HFCS. He found "astonishingly high" levels of reactive carbonyls in those beverages. These undesirable and highly-reactive compounds associated with unbound fructose and glucose molecules are believed to cause tissue damage, says Ho, a professor of food science at Rutgers University in New Brunswick, N.J. By contrast, reactive carbonyls are not present in table sugar, whose fructose and glucose components are bound and chemically stable, the researcher notes. Reactive carbonyls also are elevated in the blood of individuals with diabetes and linked to the complications of that disease. Based on the study data, Ho estimates that a single can of soda contains about five times the concentration of reactive carbonyls than the concentration found in the blood of an adult person with diabetes. Ho and his associates also found that adding tea components to drinks containing HFCS might help lower the levels of reactive carbonyls. The scientists found that adding epigallocatechin gallate (EGCG), a compound in tea, significantly reduced the levels of reactive carbonyl species in a dose-dependent manner when added to the carbonated soft drinks studied. In some cases, the levels of reactive carbonyls were reduced by half, the researchers say. People consume too much high-fructose corn syrup in this country, says Ho. Its in way too many food and drink products and theres growing evidence that its bad for you. The tea-derived supplement provides a promising way to counter its potentially toxic effects, especially in children who consume a lot of carbonated beverages, he says. But eliminating or reducing consumption of HFCS is preferable, the researchers note. They are currently exploring the chemical mechanisms by which tea appears to neutralize the reactivity of the syrup. Hos group is also probing the mechanisms by which carbonation increases the amount of reactive carbonyls formed in sodas containing HFCS. They note that non-carbonated fruit juices containing HFCS have one-third the amount of reactive carbonyl species found in carbonated sodas with HFCS, while non-carbonated tea beverages containing high-fructose corn syrup, which already contain EGCG, have only about one-sixth the levels of carbonyls found in regular soda. In the future, food and drink manufacturers could reduce concerns about HFCS by adding more EGCG, using less HFCS, or replacing the syrup with alternatives such as regular table sugar, Ho and his associates say. 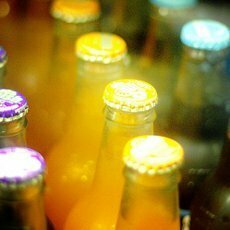 Health researchers have sharpened their focus on beverages as a contributor to the rising obesity rate, with a new study now suggesting the high fructose corn syrup (HFCS) used to sweeten most popular beverages is delivering a megadose of fructose, far higher than previously thought. Researchers at the Childhood Obesity Research Center at the University of Southern California's Keck School of Medicine analyzed the sugar profiles of 23 popular sodas and discovered what they call surprising information about the amount of fructose in the drinks. Contrary to prevailing assumptions, the findings show that the HFCS, a mixture of glucose and fructose produced from corn, in popular sodas may be as high as 65 percent fructose, nearly 20 percent higher than commonly assumed. "The elevated fructose levels in the sodas most Americans drink are of particular concern because of the negative effects fructose has on the body," said study author Dr. Michael Goran. "Unlike glucose, over consumption of fructose is directly responsible for a broad spectrum of negative health effects." Fructose makers immediately challenged the findings, saying the study failed to use standard analytical procedures to measure the content of sugars present. "Consumers should know that fructose is safe. It exists in higher levels in pear juice concentrate than what these researchers claim to have found in their study," said Audrae Erickson, President of the Corn Refiners Association. "Fructose is commonly found in many fruits and vegetables, as well as honey, maple syrup, processed sugars, and high fructose corn syrup or corn sugar." The group said it would be "premature to draw conclusions from this paper." The researchers, however, said the weight gain caused by sugary sodas can dramatically increase the risk for type 2 diabetes and cardiovascular disease. But Goran maintains that, because the body processes fructose differently than glucose, consuming large amounts of fructose greatly exacerbates the risk for those diseases by also causing fatty liver disease, insulin resistance, increased triglyceride levels and an acute rise in blood pressure. According to the study, the average American drinks over 50 gallons of soda a year, ingesting about 34 pounds of sugar. Over the past 30 years, the jump in consumption of soda accounts for 43 percent of the per capita increase in daily caloric intake, making it the prime driver behind the obesity epidemic. "Given the huge amount of soda Americans consume, it's important that we have a more exact understanding of what we're drinking, including specific label information on the types of sugars. The lack of information -- or perhaps even misinformation -- we have had about the fructose levels in HFCS-sweetened beverages means that soda drinkers may be gambling with their health even more than we have previously thought," said Dr. Harold Goldstein of the California Center for Public Health Advocacy. General Mills touts its Nature Valley granola bars and "thins" as "natural" snacks but a class-action lawsuit says the snacks contain industrially-produced artificial ingredients such as high-fructose corn syrup, high-maltose corn syrup, and maltodextrin. "Our Chewy Trail mix bars are made with delicious combinations of 100% natural ingredients like whole almonds, cranberries, peanuts, and pomegranate," is how the company describes Nature Valley Chewy Trail Mix bars on labels. 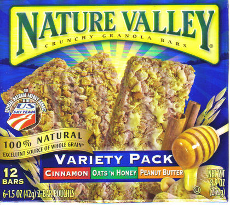 The front of the package describes the product as "100% NATURAL," and a side panel notes that Nature Valley "is proud to be the official natural granola bar for" the U.S. Olympic Ski Team and the PGA golf tour. Yet the product contains high-maltose corn syrup and maltodextrin. But according to the complaint, high-maltose corn syrup and maltodextrin are both produced by applying acids, enzymes, or acids and enzymes in sequence to corn starch, depolymerizing the starch to glucose and maltose. The acids or enzymes are then neutralized, removed, or deactivated, and the resulting product is then refined, purified, and concentrated. "High maltose corn syrup and maltodextrin are highly processed, do not exist in nature, and not even under the most elastic possible definition could they be considered 'natural,'" said Michael F. Jacobson, executive director of the Center for Science in the Public Interest, whose litigation department is acting as co-counsel in the suit. The lawsuit was filed in United States District Court in the Northern District of California, on behalf of Amy McKendrick, a resource teacher from Kern County, Calif., and another California woman, both of whom sought out natural products on medical advice. "My daughter's special diet requires that I select natural products and avoid artificial dyes, sweeteners, or additives—and I'm willing to pay a little bit more for products that are truly 'all natural,'" said McKendrick. "Who would assume that a '100% Natural' product from a company called Nature Valley would have these factory-refined ingredients?" CSPI said it privately raised concerns with General Mills over Nature Valley "Natural" claims in July 2010. General Mills responded by indicating they would work to eliminate high-fructose corn syrup from the product line, CSPI said in a press release. It added that while few, if any, Nature Valley products still contain high-fructose corn syrup, many still do contain high-maltose corn syrup and maltodextrin. "Few companies would like to brag that their ingredients are 'fresh from the factory,' but that's exactly where high-maltose corn syrup and maltodextrin come from," said CSPI assistant director of litigation Seema Rattan. "General Mills is misleading consumers when it suggests otherwise." The suit says Nature Valley's labeling and advertising is in violation of several California consumer protection laws, including the California Legal Remedies Act, the Unfair Competition Law, and the False Advertising Law. Besides CSPI's litigation unit, the San Francisco law firms of Baker Law, P.C., and Sherman Business Law are representing the consumers. Besides seeking certification to proceed as a class action, the plaintiffs seek to stop General Mills from making deceptive natural claims on Nature Valley products. What's in a name? The National Consumers League (NCL) thinks quite a lot, when it comes to food ingredients. The Washington-based consumer group is taking issue with a proposal before the Food and Drug Administration (FDA) to change the name of the sweetener High Fructose Corn Syrup (HFCS) to "Corn Sugar" on food labels. The group says consumers have begun to increase their awareness of HFCS and its possible effect on expanding waistlines. Calling it something else, the group says, is confusing and misleading. "Regardless of where you stand on the debate over High Fructose Corn Syrup and its effects on our waistlines and our health, changing the name after decades of use is unfair to consumers," said Sally Greenberg, Executive Director of NCL. "Consumers are familiar with HFCS, they know how to find it on Nutrition Facts labels, and they deserve consistency so they can continue to make purchasing decisions." NCL has filed formal comments with the FDA urging the agency to reject a petition by the Corn Refiners Association requesting that the name of High Fructose Corn Syrup, a sweetener commonly found in soft drinks and processed foods, be changed to "Corn Sugar." The request by the corn refining industry, which produces HFCS, comes before a backdrop of controversial and evolving debate over the ingredient's nutritional value and possible health implications. A number of studies have linked HFCS to obesity and other health issues. For example, in 2007 researchers suggested that soda pop sweetened with high-fructose corn syrup may contribute to the development of diabetes, particularly in children. The FDA officially approved the name "High Fructose Corn Syrup" in 1983, and the sweetener has been referred to by that name ever since. NCL says some consumers have decided to avoid HFCS for health reasons, and changing the name now would confuse them. Several manufacturers of brand name foods and beverages have stopped using the ingredient including Hunt's ketchup, Snapple, Gatorade, and Starbucks' baked goods. "The FDA should not play spin doctor for the corn refining industry or shield food companies who use the ingredient from the impact of emerging scientific evidence or from consumer preferences," Greenburg said. "Just as it would be premature to conclude that HFCS is harmful to health, an official name change could frustrate further scientific study and confuse or irritate consumers." Cadbury-Schweppes says it will no longer market 7UP as "All Natural." Rather, the company says it will highlight ingredients "for which there is no debate" over whether they are natural, which will obviously exclude the controversial factory-made sweetener known as high-fructose corn syrup. The Center for Science in the Public Interest (CSPI) will drop a planned lawsuit against the company now that the misleading "all natural" claims will be halted. CSPI notified Cadbury-Schweppes of the possibility of a lawsuit in May and has discussed labeling issues with the company off and on since then. "We are pleased that Cadbury-Schweppes has fixed what was a flawed and deceptive marketing campaign and that this issue was resolved without our actually suing," said CSPI litigation director Steve Gardner. "We look forward to seeing exactly which words the company uses to describe its ingredients on labels and on marketing materials, but trust they won't imply that high-fructose corn syrup is 'natural.'" High-fructose corn syrup is nutritionally similar to natural table sugar, which comes from sugar cane or sugar beets. But in to contrast to table sugar, high-fructose corn syrup is made through a complex chemical industrial process in which corn starch molecules are enzymatically reassembled into glucose and fructose molecules. CSPI's litigation unit has encouraged several major food companies, including Quaker, Frito-Lay, Procter & Gamble, Tropicana, and Pinnacle Foods, to halt deceptive labeling or marketing practices. KFC stopped using partially hydrogenated oils after being sued by CSPI, and Cadbury-Schweppes and other soda manufacturers avoided a CSPI-led lawsuit by agreeing to phase sugary sodas out of schools. In coming weeks and months CSPI may file previously announced lawsuits against Coca-Cola and Nestl (over Enviga, a deceptively labeled green tea drink positioned as a weight-loss aid) and Kellogg and Viacom (for marketing junk foods to young children). The American Heart Association recommends that people consume only five percent of calories as added sugar. The Dietary Guidelines for Americans 2010 suggest an upper limit of 25 percent or less of daily calories consumed as added sugar. What happens if you consume more? A new study by California researchers found that adults who consumed high fructose corn syrup for two weeks as 25 percent of their daily calorie requirement had increased blood levels of cholesterol and triglycerides, which have been shown to be indicators of increased risk for heart disease. In the study, researchers examined what happened when young overweight and normal weight adults consumed fructose, high fructose corn syrup or glucose at the 25 percent upper limit. "While there is evidence that people who consume sugar are more likely to have heart disease or diabetes, it is controversial as to whether high sugar diets may actually promote these diseases, and dietary guidelines are conflicting," said the study's senior author, Kimber Stanhope, PhD, of the University of California, Davis. "Our findings demonstrate that several factors associated with an elevated risk for cardiovascular disease were increased in individuals consuming 25 percent of their calories as fructose or high fructose corn syrup, but consumption of glucose did not have this effect." Fructose is a sugar found in many plants. In recent years, it has become a favorite sweetener in the food industry because it tends to be cheaper than sugar. There is controversy among some health advocates and the food industry over the safety of fructose, with health advocates saying the body reacts differently to it than sugar. The food industry disputes that, and Jennifer Nelson, a Registered Dietician at the Mayo Clinic, says the research is mixed. Would Fructose By Any Other Name Taste As Sweet? What's in a name? Plenty, if the name has anything to do with sugar. The U.S. Food and Drug Administration has rejected a request by corn-refining giants to change the name of the widely used and widely despised food ingredient "high-fructose corn syrup" to "corn sugar." The sweetener is cheap and sweet, which is why it's widely used in snack foods, condiments and soft drinks. Critics, including New York City Mayor Michael Bloomberg, say those sugary snacks and drinks are contributing to the nation's obesity problem. Bloomberg's answer is to ban large sugary drinks. Of course, changing the name won't make the sugar any less sweet. Or any less fattening, for that matter. But it's a tried-and-try public relations gimmick: change the name of an offending product or substance and hope no one remembers. The Corn Refiners Association -- which includes such industry giants as Archer Daniels Midland Co. and Cargill Inc. -- has been trying to do just that for years. It formally sought the name change in a petition to the FDA in 2010. The FDA said the corny p.r. group didn't provide sufficient grounds for a name change. And besides, said the FDA, it defines sugar as "a solid, dried and crystallized food," while syrup is a "liquid food." High-fructose corn syrup is a liquid, it should be noted. But not wanting to put all their corn in one bin, the Corn Refiners have been fighting on another front as well, just in case the name-change ploy went sour. the trade group has been running a series of controversial TV commercials, basically saying "sugar is sugar" and claiming "your body can't tell the difference" between high-fructose corn syrup and sugar. This doesn't go over well with the sugar farmers, as you might suppose, and several of them filed a federal lawsuit against the fructose claims. A federal judge found the farmers showed "a reasonable probability of success on their argument that the statements are false" but the case is likely to remain solidly in the courts for a bit longer before it dissolves fully. The farmers argue that the fructose refiners are putting out false product claims, and hurting the natural sugar industry. "Enough is enough," said sugar farmer attorney Mark Lanier. "Neither HFCS nor fructose is the same as sucrose, what consumers know as sugar, and has been a part of diets for more than 2,000 years." "Consumers need the facts about how sweeteners differ chemically and how the body can tell the difference between them. The Sugar Association seeks to educate consumers and encourages the media and researchers to embrace a scientific dialogue based on facts and not scare tactics," Lanier said. But while the arguments about what's sugar and what's not rage on, the fact remains that -- whatever it is -- we're probably eating too much of it. "So many things have happened in our environment in the past fifty years, from a total increase in calories to a decrease in activity — it’s absurd to pin the entire obesity problem on a single food such as fructose or even sugar consumption as a whole," said David Klerfeld, a national program leader in Human Nutrition for the USDA." Why aren’t we focusing on ginormous portions rather than wasting time looking at single ingredients?" So the debate over HFCS and all-natural sugur looms on, and more TV commercials and lawsuits are probably soon to follow. But consumers can also remember that using a food sweetener isn't a law, and many foods and drinks consumed actually don't need sugar. Natural or man-made. Kraft Foods, the maker of Capri Sun -- foil pouches filled with a solution of water, high-fructose corn syrup, and small amounts of juice -- is being sued by a Florida woman for deceptively marketing the product as "All Natural." The suit contends that the company's deceptive marketing tricks consumers into thinking the product is healthier than it actually is, perhaps encouraging some people to confuse the almost juice-less drink with real fruit juice. Though high-fructose corn syrup (HFCS) is no more harmful than other sugars, it is a plainly man-made ingredient, according to the nonprofit Center for Science in the Public Interest (CSPI), which, alongside the Florida law firm of Varnell & Warwick, is representing the plaintiff in the class action suit. "When I saw 'All Natural' on the label, that sounded healthier than soda," said Linda Rex, a Boynton Beach, Fla., grandmother and the plaintiff in the suit, who purchased Capri Sun for a young relative visiting from Ireland. "But when I got home and got out my glasses, I threw it in the garbage when I realized it contained high-fructose corn syrup and was nearly identical to soda." It may sound like it comes from corn in the same way sugar comes from sugar cane or sugar beets, but HFCS is created by a complex industrial process performed in refineries using centrifuges, hydroclones, ion-exchange columns, backed-bed reactors and other high-tech equipment. Starch is extracted from corn and then converted by acids or enzymes to glucose. Then some of the glucose is further converted by enzymes into fructose. HFCS has only been widely used in food since the 1980s. CSPI says that while the glucose and fructose in HFCS are identical to naturally occurring glucose and fructose, the fact that chemical bonds are broken and rearranged in their production disqualifies them from being called natural. For instance, while a scientist might be able to produce sugar by rearranging the molecules of any number of things that contain carbon, hydrogen, and oxygen, it clearly wouldn't be "natural" sugar. "Though Capri Sun claims to be 'All Natural,' its main flavoring would more accurately be called Fresh from the Factory,'" said CSPI executive director Michael F. Jacobson. "Let's put it this way: Unless you and your chemist friends are prepared to undertake a little Manhattan Project in your kitchen, you won't be brewing any high-fructose corn syrup from scratch anytime soon. How typical of a tobacco company, though, to call something like HFCS 'All Natural.'" Kraft's parent company, Altria Group, also owns Philip Morris USA, which makes Marlboro, Virginia Slims, Basic, and Parliament brand cigarettes. Altria soon may seek to spin off Kraft, according to press reports. Capri Sun is typically sold in boxes of 10 foil pouches. Both the boxes and the pouches use the words "All Natural," but only the boxes disclose the presence of high-fructose corn syrup in the fine print of the ingredients list. Kraft also makes Capri Sun "All Natural Fruit Rolls," which similarly contain HFCS. The suit, filed in state court in Palm Beach County alleges that the "All Natural" claims are in direct violation of that state's Deceptive and Unfair Trade Practices Act, and asks the court to order Kraft to drop the false statements. This isn't the first time CSPI has challenged a food manufacturer for passing off HFCS as "all natural." In May, CSPI notified soda-giant Cadbury Schweppes that it would file a lawsuit against the company for rebranding 7UP as "100% Natural," despite the fact that it includes the factory-made sweetener. CSPI agreed to a request from Cadbury to discuss settlement possibilities before a lawsuit is filed. Those discussions are continuing, but CSPI is likely to sue if the company doesn't agree to changes in the near future. Also, several years ago CSPI filed a complaint with the Food and Drug Administration about an "all natural" product with artificial ingredients -- a line of Ben & Jerry's ice creams -- but the agency yawningly responded that it had "other priorities." "It's a shame that a major company like Kraft tries to deceive consumers on food labels, and it's a greater shame still that the FDA lets them get away with it," said CSPI litigation director Stephen Gardner. "We look forward to hearing Kraft's lawyers defend their company's behavior in court." The company that makes the "uncola" is accused of telling an untruth in a new marketing campaign that touts 7UP as "100% natural." The nonprofit Center for Science in the Public Interest (CSPI) will sue 7UP's manufacturer, Cadbury Schweppes, unless the company drops the claim. Although the company removed several artificial ingredients from the drink, at least one remains: high fructose corn syrup. Sunny new television ads for 7UP show cans of the drink being picked from fruit trees, or harvested from the ground, yet there is no fruit juice in 7UP. The narrator says it "tastes better than ever because we stripped out all the artificial stuff leaving just five all natural ingredients." Besides carbonated water and high fructose corn syrup, the other three are citric acid, unspecified "natural flavors," and potassium citrate. Though not any better or worse nutritionally than plain table sugar, high fructose corn syrup is spawned from a complex, multistep industrial process by which starch is extracted from corn and converted with acids or enzymes into glucose and fructose. "Pretending that soda made with high fructose corn syrup is 'all natural,' is just plain old deception," said CSPI executive director Michael F. Jacobson. 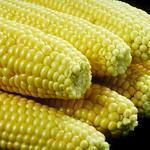 "High fructose corn syrup isn't something you could cook up from a bushel of corn in your kitchen, unless you happen to be equipped with centrifuges, hydroclones, ion-exchange columns, and buckets of enzymes." In a legal notice to Cadbury Schweppes executives, CSPI litigation director Steve Gardner wrote that the primary purpose of the suit would be to prohibit the company from describing any product with high fructose corn syrup as "natural," and that CSPI would also seek restitution, corrective advertising, and attorneys' fees. CSPI's announcement comes a week after Cadbury, Coca-Cola, and PepsiCo agreed not to sell sugary soda in schools, thus avoiding a separate lawsuit CSPI and other parties intended to file. The Food and Drug Administration does not have an official definition for "natural" foods. Nor does it take action to prevent food companies from calling the most obviously artificial ingredients "natural." For example, CSPI once complained about Ben & Jerry's "All Natural" ice creams, which variously included such obviously non-natural ingredients as hydrogenated oil, corn syrup, alkalized cocoa powder, and even "artificial flavors." But FDA took no action other than sending CSPI a letter indicating that "natural" was "not among our current enforcement priorities." In March the Sugar Association, which represents cane and beet sugar producers, petitioned the FDA to define "natural." While FDA has no definition, the U.S. Department of Agriculture allows only those meat and poultry products that have been minimally processed can be labeled as natural. CSPI wrote to the FDA in support of the Sugar Association's petition and urged the agency to adopt a definition identical to USDA's. That would mean that high fructose corn syrup, partially hydrogenated oils, and other ingredients that are more than minimally processed couldn't be called natural. "If the FDA were doing its job, perhaps a lawsuit wouldn't be necessary," said Gardner, who will work with Massachusetts attorney Ken Quat on a Cadbury Schweppes suit. "While this particular mislabeling doesn't present much of a health threat, consumers and honest companies shouldn't have to put up with dishonest claims in the marketplace. Happily, though, several states have excellent consumer protection laws that can be used to stop deceptive advertising." CSPI said it will consider other legal action against companies that use high fructose corn syrup in their ostensibly "all natural" products. Tempers are growing short along the Gulf Coast, with Mississippi Attorney General Jim Hood firing the latest round, saying his state "will not take a dime less" than it is entitled to from the claims process established by BP to compensate victims of the massive oil gusher that is fouling the waters of the Gulf Coast. He warned the company not to try an end-run around the states. On Monday, Louisiana Attorney General Buddy Caldwell filed a Petition for Discovery and Investigation against British Petroleum in state court in Plaquemines Parish. Hood said his experience with Hurricane Katrina demonstrated that an open claims process is essential to keeping Gulf Coast businesses and individuals from succumbing to bankruptcy and foreclosure. "Victims need money now to stay afloat," Hood said. In initial meetings between Gulf Coast attorneys general and BP, Hood said he demanded -- and BP agreed -- that no claimants would be required to sign a waiver of their right to sue later and that BP waiver the statutory liability cap of $75 million. The company agreed to both and, so far, has paid $5.5 million in claims to Mississippi residents and businesses. But Hood said that he is concerned the company's strategy is to go to federal court in an attempt to make an end run around the states. "BP and Transocean have revealed their legal strategy by filing actions before federal judges in Houston, Texas, in an attempt to drag all claims by individuals, businesses, and the state and federal governments into a foreign jurisdiction," Hood said. "We want the claims made by the state of Mississippi to be decided by a Mississippi state court." Hood said Mississippi learned a hard but valuable lesson after Katrina. "The insurance industry abused the federal court system to delay the state court suit which my office filed within two weeks of Katrina. It took Mississippi four years to bring the issue before our Mississippi Supreme Court, where it rightfully belonged. Just this past October, the Court ruled in our favor nine to zero," he said. But Hood said it was a "hollow victory" because by the time of the state court decision most cases had already settled. "I will fight to make sure the oil companies do not abuse the federal system to delay justice due the people of Mississippi," he said. "If the 11th Amendment to our United States Constitution has any meaning left, it is that state claims should be litigated in our state courts." The 11th Amendment basically recognizes that states have a certain degree of sovereign immunity and are not totally subordinate to the federal government. The Louisiana petition alleges that BP has failed to cooperate and share important information with the State, specifically information requested repeatedly by the Louisiana Workforce Commission and the Louisiana Department of Social Services regarding all claims data collected by ESIS, the third party administrator for claims, and for information about workers hired by BP. The purpose of the petition is to gather information as part of the State's investigation as to the causes of the spill and impacts to the state. "Today's filing was a last resort in trying to get information from BP that the Department of Social Services and the Louisiana Workforce Commission have requested repeatedly from BP since May 3 regarding the BP claims process," Caldwell said. Louisiana, Caldwell says, has made several requests for information and/or further explanation but has not received an adequate response. Despite promises that BP would cooperate and coordinate its response with the State, Caldwell says he has seen little evidence. "Today's petition is a request for a court to order BP to produce information that the State needs to monitor BP's claims process to ensure that our citizens are being treated fairly and receiving proper assistance," Caldwell said. "As Attorney General, be assured that I will take any and all necessary legal actions to safeguard the interests of those citizens and other entities of Louisiana who elect to file or are considering filing claims through the process BP has established." Over the weekend BP announced that it was capturing most of the oil leaking from the ocean floor, though Obama administration officials conceded the oil might continue to link well into the Autumn months. BP said the cap it attached to the top of the leaking well siphoned off 10,500 barrels of oil out of an estimated 12,000-19,000 barrels a day leaking from the wellhead. The spill's costs continue to escalate and now have exceeded $1.25 billion, according to BP's estimates. BP has set aside $350 million to pay for construction of sand barriers along the Louisiana coastline, to protect environmentally sensitive marshlands.